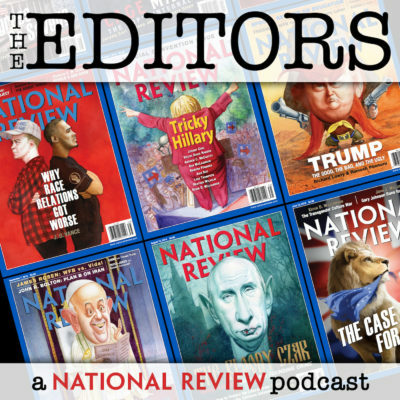 David and Reihan battle it out over populism while Charlie goes on a rant about the unconstitutionality of presidential declarations of emergency on today’s gripping edition of The Editors. • Rich: An article in the new issue on conservatism by the late Charles Krauthammer. • Reihan: Fred Bauer on a unifying agenda. • Charlie: Kyle’s article on morality clauses in contracts. • David: Andy’s piece on Trump giving Mueller reasons to pursue the collusion probe. On this first Editors of 2019, Charlie, Reihan, and Luke discuss the ongoing government shutdown, Mitt Romney’s op-ed, and Elizabeth Warren’s presidential aspirations. • Reihan: Charlie’s Corner post on Eric Orts. • Charlie: Kyle Smith on Louis C.K. • Luke: VDH on California.